It sounds too modern to be accurate in a historical novel: a secret, subversive ladies club meets to advance their professional interests. That’s the basis of my Gilded Age Girls Club series and as the saying goes, you can’t make this stuff up. 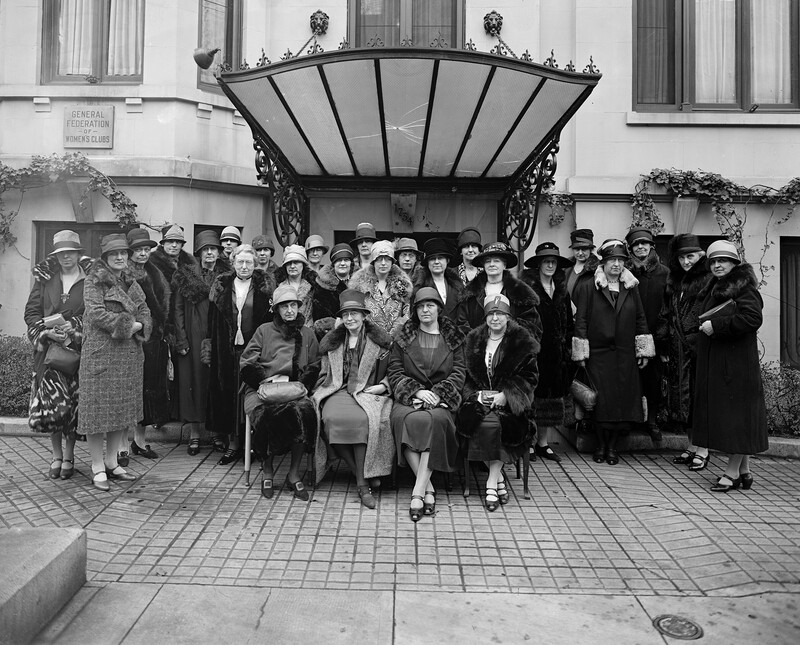 My Ladies of Liberty club is modeled on the Sorosis Club, one of the first women’s clubs that kicked off the club movement in the Gilded Age. In real life, Sorosis was founded by a fascinating woman named Jane Cunningham (she’s the #inspo for the character of Harriet Burnett in my GAGC series). See Jane change the world. Jane was born in England in 1829 and moved to America when she was 12. Her career in journalism was launched with a school paper and she moved onto to writing a “women’s column” for Noah’s Sunday Times, focusing on fashion, art, cooking—you know, girl stuff. She met her husband David Croly, who was also a journalist (he eventually was editor of The New Republic). Jane had four children—3 girls and a boy—and kept working! David hired her to write for The New York World. She also became editor of Demorest’s Magazine which was THE magazine dedicated to women’s fashions—and was named after Madame Demorest (Her real name was Ellen Louise Demorest and she was THE leader of fashion during the latter half of the 19th century, she is credited with inventing and popularizing the paper pattern and she’s #inspo for Adeline Black’s character in Duchess By Design). Croly wrote extensively for a variety of publications under the pseudonym Jennie June and was the first woman to syndicate her column across the country and by the end of the century was one of the best known female journalists in the country. (This is basis for the prequel short story Harriet’s Great Idea available to my newsletter subscribers). The women met at Delmonico’s, one of the leading restaurants of the day and, like the others, one that refused to serve women dining without a male chaperone. The ladies of Sorosis protested that with a sit in—do not miss the full story here: This Woman Was Told She Couldn’t Eat In NYC’s Fanciest Restaurant So She Brought Her Whole Squad—and lunching at Delmonico’s was one of their first victories. It hosted their anniversary meetings each year. The members of the Sorosis club included journalists, authors, physicians and activists. Some notable names include Fanny Fern, journalist and Emily Roebling, who helped build the Brooklyn Bridge. The club—and whole phenomenon of Women’s Clubs in this time period—was instrumental in changing the way women understood themselves, interacted with the world and with each other. Club meetings, often similar to salons, were opportunities to learn about and discuss literature, art, science, etc. For many women, this was their first experience speaking in public. It was one of the first places for women to organize and socialized with each other outside the confines of the Church. Through club culture, women also made their first forays into community organizing and working with the local government by taking on sanitation and hygiene projects among poor communities. It was called “Municipal Housekeeping” and it was acceptable because it was “girl stuff” like cleaning but it had the effect of empowering women. They got out of the house, banded together, and made a visible difference in the world. For more reading on Women’s Clubs, check out The Clubwoman As Feminist: True Womanhood Redefind, 1868-1914 by Karen J. Blair and other books on my blog Researching The Gilded Age.